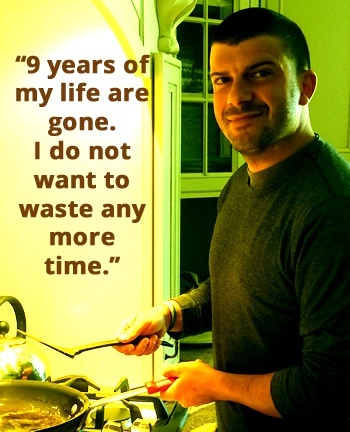 47 rehabs, 4 overdoses, homelessness and a 6 month court mandated program did not deter him. For the first time Steve is “learning to live and have fun without sticking a needle in his arm”. On the evening of this interview Steve and his parents sat down to their first meal together in 5 years. Steve is being mentored by chef and restaurateur, Andrew Deery. Andrew is part of the Building Futures program at Manor of Hope and works with Steve four days each week to hone his culinary skills at Majolica Restaurant. Steve assisted in the meal preparation, creating his own marinara sauce and teaming up with Andrew to make homemade ricotta cannoli. “We are people of faith”. Janice and Tony are typical middle class parents, who were leading normal lives until 2009. It was then that they realized their son Steve had been consumed by the disease of addiction. Over the next 8 years they watched Steve’s life spiral out of control and with that, Janice and Tony’s lives were forever altered. The son they knew had vanished and Janice and Tony’s lives were forever altered. As with addicts, Steve’s behavior changed over time. He fabricated stories to extort money from his parents. The deceit was endless while Janice and Tony watched their son’s rage build. Steve’s relentless desire to get drugs consumed him. Emotionally and financially devastated Janice and Tony eventually asked Steve to leave the family home. Whether by sheer coincidence or divine intervention, Steve made his way to the Manor of Hope. Tony and Janice were impressed by the facilities and in particular, the Building Futures program. They appreciated the structure of the program and the wide variety of activities in which residents were engaged. The Building Futures program offered Steve an opportunity to learn meaningful skills that he can take with him when he completes the program. It is said that addiction now has a new face. Steve was good student and an athlete. His parents provided him a nurturing home and a strong, moral foundation. Like many teens, he experimented with alcohol and marijuana as a weekend diversion. While Steve’s friends moved on and eventually stopped using, Steve’s desire to use drugs escalated to opiates, heroin, cocaine and crack. His weekend diversion now became a daily ritual. Forty-seven rehabs, 4 overdoses, homelessness and a 6 month court mandated program did not deter him. He manipulated the people around him, lying and stealing to get his next fix. Steve feigned interest in recovery, as an intent to temporarily pacify his friends and family. In 2016 Steve began attending AA meetings and in the fall he admitted himself into The Retreat in Ephrata, Pennsylvania. While there, an administrator recommended Manor of Hope to provide Steve with long term addiction support. Steve reluctantly agreed and admitted himself to the program. 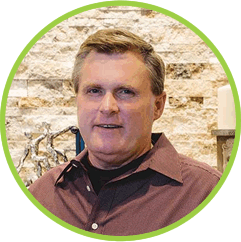 During Steve’s first six weeks at Manor of Hope he was immersed in NA meetings and was provided with individual and group therapy. He was also given a nutritional and exercise regime and a structured schedule. Steve worked daily at Half Hill Farm in Malvern, Pennsylvania. He spent the first few days on the farm looking for a way out. Steve hated everything about Half Hill: mucking stalls, grooming horses, fetching eggs, painting barn doors, felling trees and splitting wood. As time passed however, he began to adjust to the routine. His self confidence grew as his mind and body began to heal. Steve began to understand how to confront his issues and cope with daily life in a healthy manner. When he was younger Steve took several culinary classes and developed an interest in cooking. 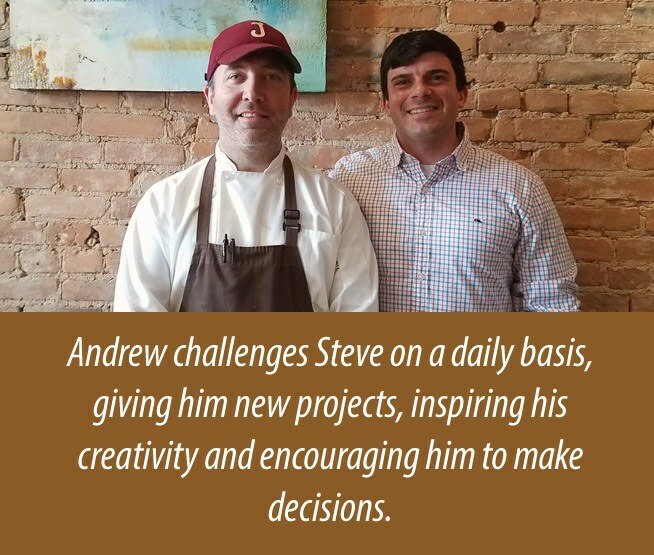 Manor of Hope Founder, Steve Killelea recognized Steve’s interest in the culinary arts and partnered with Andrew Deery, executive chef and owner of Majolica to provide Steve with the education he desired. Steve spends most of his days learning to prepare gastronomic feasts for Majolica’s patrons. He is braising rabbits, making bread and pasta, blanching octopus and preparing soups. Steve loves working with Chef Andrew and is expanding his skill base along with his palette. He has rediscovered his work ethic and his love of learning. Steve hopes that in time he will regain the trust of his family and friends and reconcile with his sister, Maria. Steve has been substance free since January 13, 2017. A graduate of the Baltimore International Culinary College, Andrew opened his restaurant, Majolica, in December of 2004. The restaurant’s name was inspired by a local company, Giffen, Smith and Hill, the largest manufacturer of this collectable glazed earthenware. The name gives a nod to the entrepreneurial and artistic history of Phoenixville, Pennsylvania. “The most important reason for me is that it gives the business owner a chance to help others. We can all simply give money to charity….but to teach and mentor someone and give them the value of your experience is so much more rewarding than any donation. And in the case of Steve, we have gained a valued employee and a friend. Our company has benefitted”. 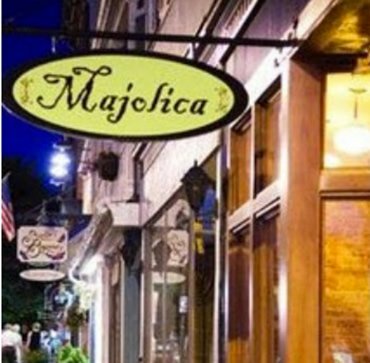 Majolica’s eclectic menu is the brainchild of Chef Andrew. He believes that ingredients need to be discernible and the flavors straightforward. 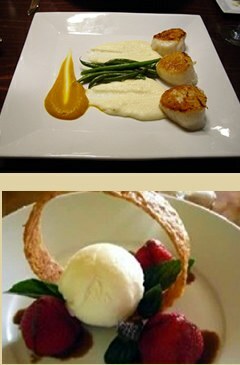 To accomplish this Andrew procures high quality, local ingredients and puts them together in simple, but creative ways. Andrew shares his love of cooking by hosting demonstrations at the local farmer’s market and in his restaurant. He thrives of feeding people’s inspiration for cooking. Andrew was immediately interested in partnering with Manor of Hope’s Building Futures Program and offered his time and talents without hesitation. 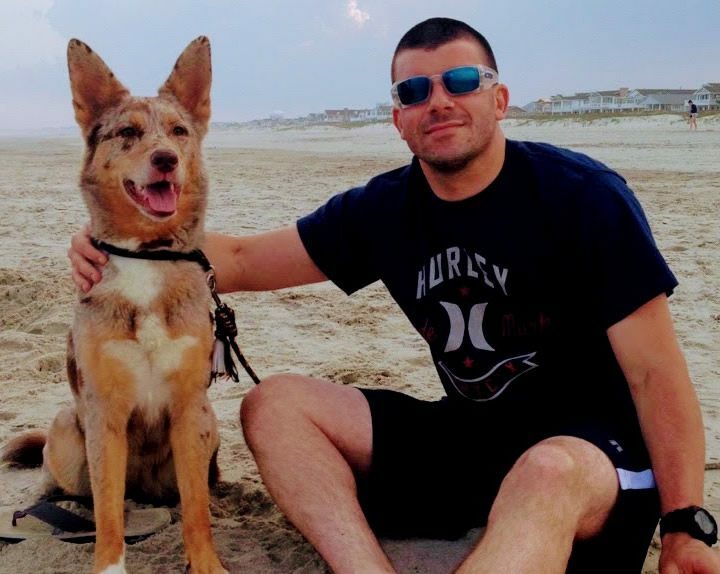 He loves to teach and working with Steve is his way of giving back to his community by passing on his experience. Andrew challenges Steve on a daily basis, giving him new projects, inspiring his creativity and encouraging him to make decisions.